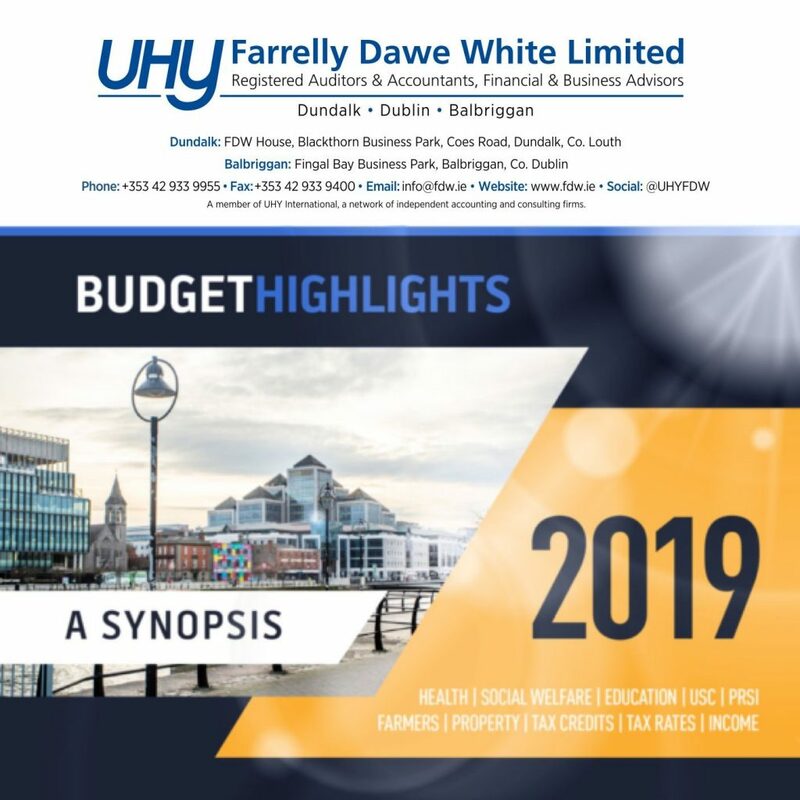 On 09 October 2018, The Minister for Finance Paschal Donohoe introduced the budget and spending measures proposed for 2019. Budget 2019 did not bring any surprises from an Income Tax point of view. We predicted the increase to the 40% income tax band, changes to certain tax credits and the reduction to the rate of USC. These predictions were realised. The minister has introduced new measures to enhance the “Key Employee Engagement Scheme” for SMEs to retain key employees. These measures are to improve poor uptake in the scheme to date. Share options may now be granted up to 100% of salary and there will be a higher overall ceiling of options up to €300,000. On the corporation tax side, Ireland is to introduce a Controlled Foreign Company Regime and an exit tax charge of 12.5% for unrealised gains on the migration of corporate tax residency from Ireland. These introductions have been widely known and confirmed for some time but do represent significant changes for Ireland’s corporate tax regime. The three year tax relief for certain new corporate start-ups has been extended for a further 3 years to 2021 as expected. In the area of inheritance taxes, the minister has increased the tax free threshold for Group A (parent to child) by €10,000 to €320,000. This represents an inheritance tax saving of €3,300. There was an unwelcome change from a VAT point of view. Despite intensive lobbying by the hospitality industry, the reduced rate of 9% VAT has been increased to 13.5%. It is anticipated that this change will result in job losses in the sector. The 9% rate will remain in place for sports facilities and newspapers. 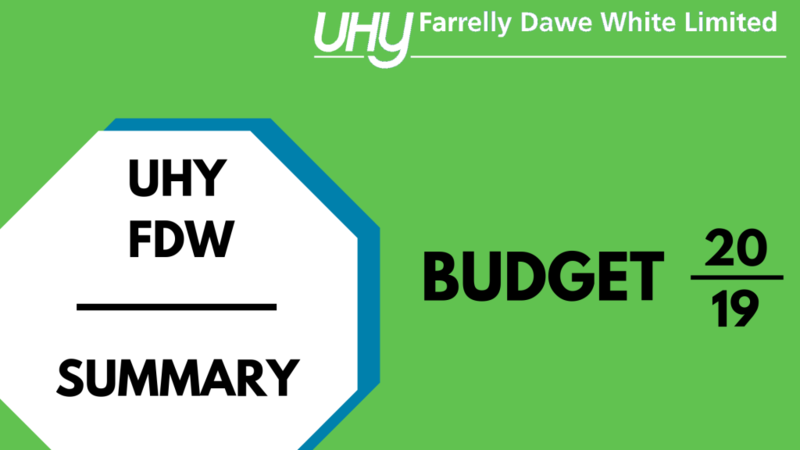 On the whole, the Budget was relatively uneventful, as expected and brought in very few surprising tax changes.